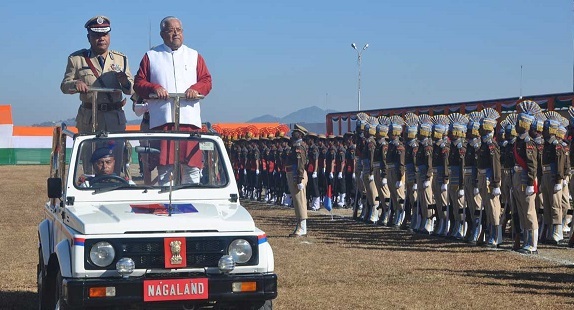 Nagaland governor, P B Acharya, on Saturday reiterated the ‘unequivocal view’ of his government that the Citizenship (Amendment) Bill, 2016 was not applicable to Nagaland. Addressing the Republic Day function at the Nagaland Secretariat Plaza ground, the governor said that Nagaland stood protected under the provisions of Article 371 (A) of Constitution of India and the Inner Line Permit mechanism as per Bengal Eastern Frontier Regulation, 1873 which was reaffirmed as Clause 16 of the 16-Point Agreement, according to reports. Acharya, however, said that the state government has appealed to the Centre to have wider consultations with all north eastern states to ensure that the rights of the indigenous people were fully protected. He also said that the state government has decided to refer the Bill to the Standing Committee on Article 371 (A) under the Nagaland Legislative Assembly to examine the issues in its entirety. On Naga political issue, the governor said that the state government is totally committed for final settlement and has been sincerely playing the role of an active facilitator in the ongoing political negotiations between the Government of India and the Naga political groups. Acharya also said that the state government was committed to ensure good governance and development in the state. However, the normally packed Secretariat Plaza on Saturday was sparsely filled due to the boycott call given by student bodies opposing the Citizenship (Amendment) Bill, 2016.